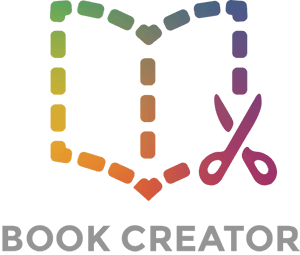 It is all too often that we hear of the Book Creator app being accidentally deleted and books lost, as they haven't been backed up. Book Creator books are ePub files which can become very large when photos and videos are added. They are only ever stored locally to the app, to avoid taking up too much space on your iPad. To prevent books being permanently lost, we normally advise manually backing up individual books to iCloud Drive, Google Drive, Dropbox, or whichever cloud app you use. You could also rely on Apple's backup to restore the whole iPad from a backup. But, you need to be aware of the difference between iCloud backup and iTunes backup. With an iCloud backup, only what Apple considers the most important data on the iPad is backed up, as it's stored to the cloud and needs an internet connection to perform the backup. With an iTunes backup, the whole iPad is backed up and saved via iTunes on a PC or Mac, when the iPad is connected with a lightning cable. Read more about the difference between iCloud and iTunes backup on Apple's website. The important thing to realise is that if you only back up you iPad using iCloud, when you come to restore it, Book Creator will download again but you will have lost all of your books - they won't be restored. If you perform a restore from an iTunes backup - you will recover all of your books too. It's also important to realise that this isn't done automatically for you - you have to manually run the backup by connecting your iPad to a computer. Connect your iPad to a Mac/PC and open iTunes. Click on the iPad icon and in the Backup section, make sure This computer is selected as the backup destination. So, the answer to whether or not books automatically backup to iCloud is no. But, having said that, there is another option that schools can use to turn on automatic backups for students (if you know what you're doing!). Once configured through an MDM, students’ books are automatically synched to their iCloud storage and available for download on any iPad they use. This also ensures a student’s work is available even if their typical iPad is lost, restored or purged of their user data.